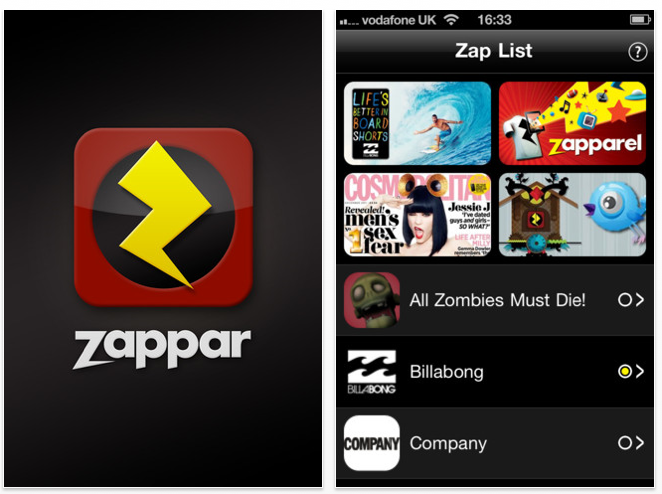 上兩幅是一個叫 Zapper 的 App，來自英國。 The upper two pics is an app called Zapper from UK. 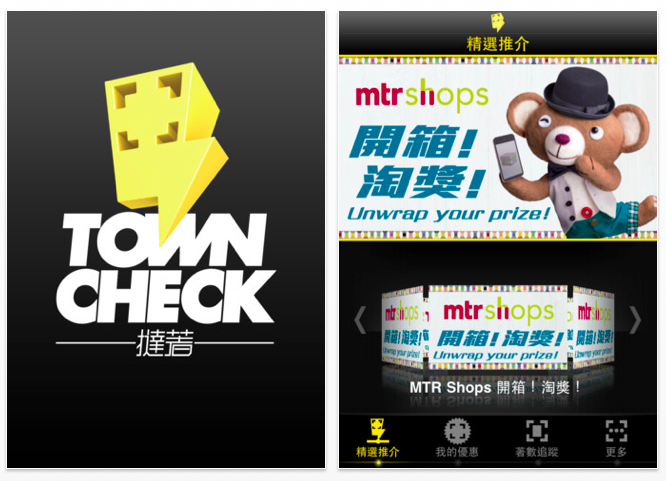 下兩幅是一個叫 Towncheck 的 App，來自香港。And the bottom two is TownCheck from HK. 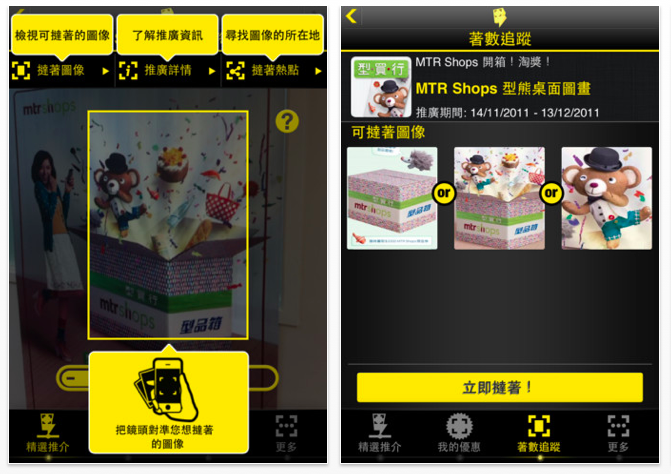 Both of the apps are targeted as marketing tool. Accidentally, both apps share similar Logo, similar navigation design and similar dynamic traceable swapping technology. I can’t say one of them is copycat. But i am not quite appreciate the way that “selecting the category and look thru the mark”. 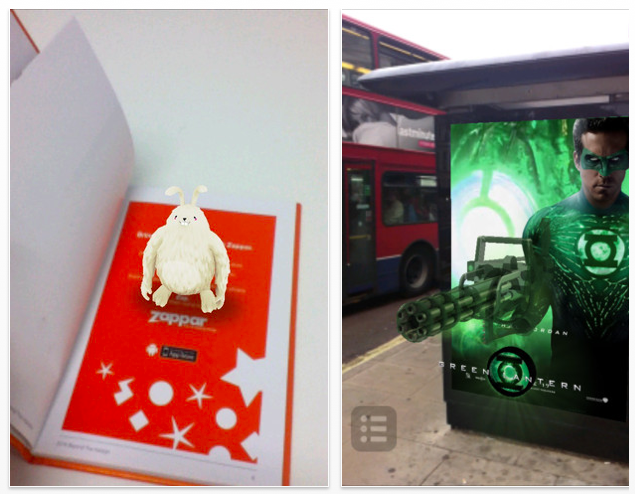 In my point of view, zapper is more practical as there are many 3D contents. Integrating AR technology is a must. It’s reasonable for zapper team to ask the user select a specific cat to load the 3D content in order to reduce system loading to trace too many marks. However, for the Towncheck, it more likely to show the “interestedness” of AR technology. In general, it looks like an AR QR Code and it seems that AR is not a must for it. Anyway, I am gonna to hack the way to do swapping traceable with Zeta Interactive. And its team coordinating with IVE’s students on related project. Stay Tune!